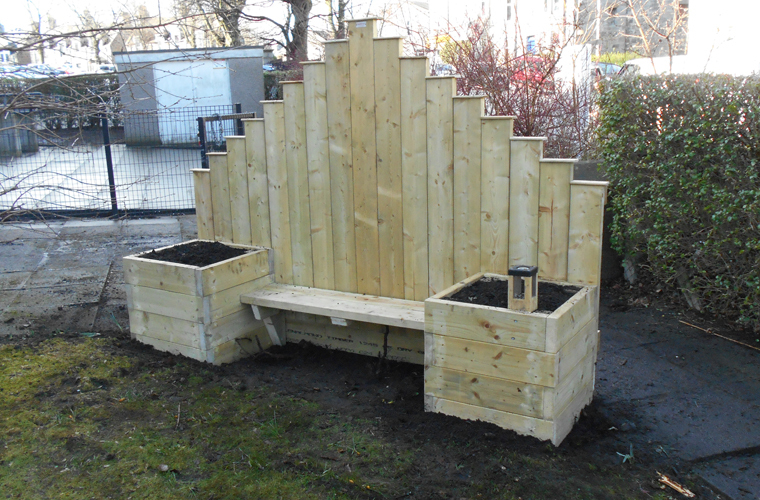 Throne Planter - a purpose-built structure combining a high back and broad seat with side planters acting as arm rests. 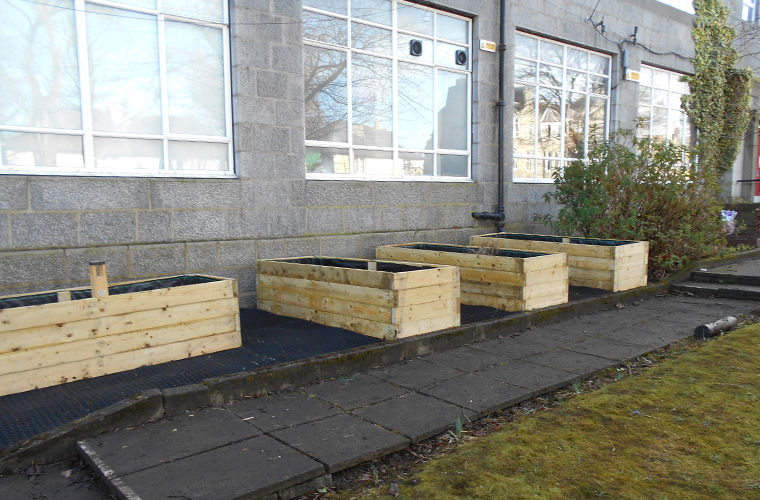 The planters were to be filled with herbs forming a sensory garden in addition to providing a story telling area and a quiet place. 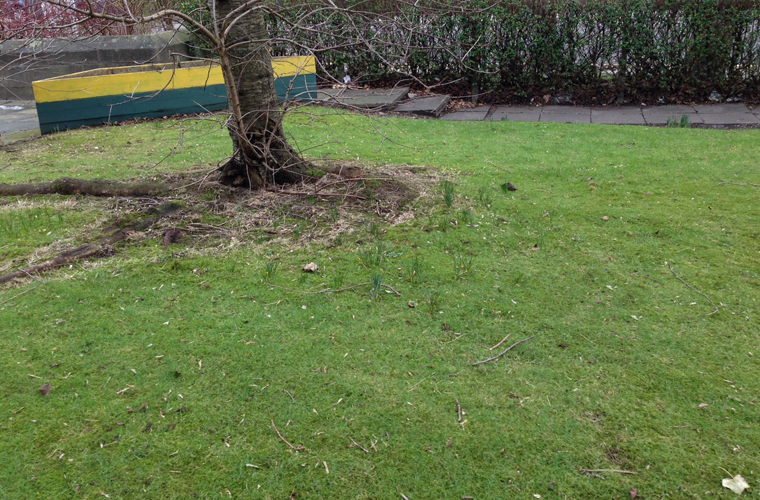 The structure was levelled against the sloping ground. 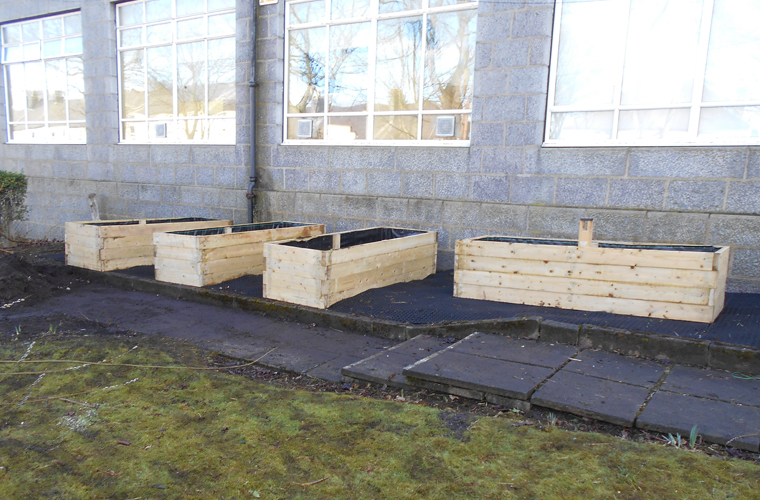 Rectangular Planters x 7 - constructed from dressed and graded timbers. 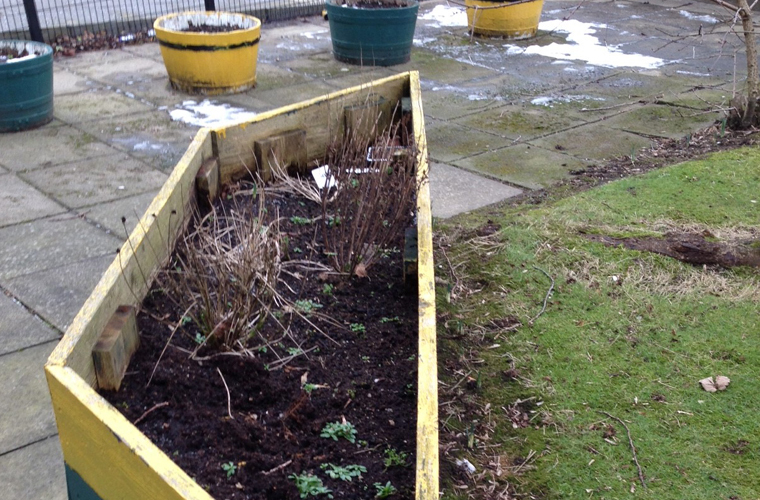 An internal liner is fitted to the inside of the planter to restrict moisture affecting the timbers. Mats were positioned between the planters to reduce ground erosion. Sleeper Bench x 3 - heart sawn redwood timbers with sanded surface, the legs are fitted with a bitumen heat-sealed sleeve to prevent moisture affecting the timbers when installed with concrete. 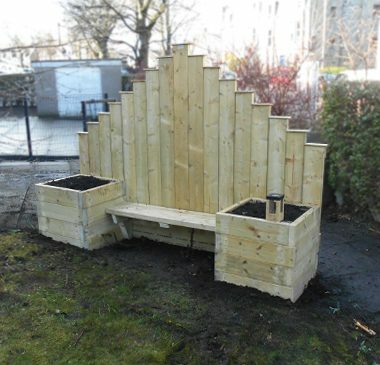 The three benches were positioned around an existing tree to create a fan shape and incorporated the Throne Planter to allow more flexibility of use. Imaginative Den - a unique, unusually shaped structure with no prescribed use therefore ideal for stimulating imaginative play. It is particularly suitable for pre-school and nursery aged children. 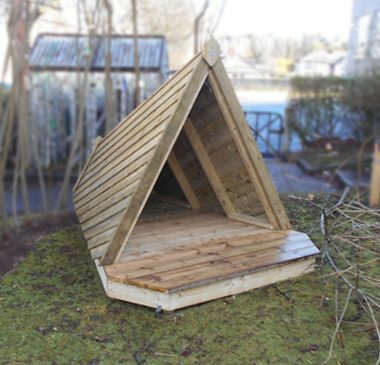 The basic shape is a tetrahedron with a small decked platform at the front. The den is made from pressure treated wax impregnated timbers, is heavy, built to last and does not need to be secured to the ground. It is an open structure with no trap points. 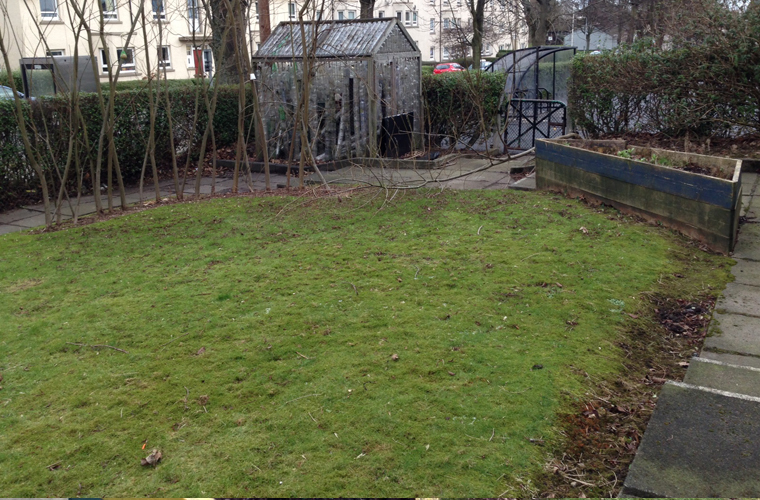 The Den was placed against the willow plants that had recently sprouted with the front facing the centre of the open grass. On this occasion the legs were fixed into the ground. 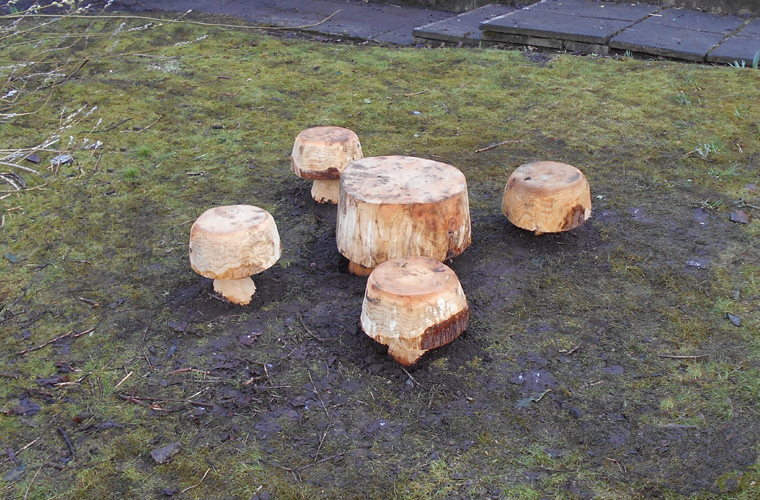 A Mushroom Stool and Table Set was placed in in front to increase the flexibility of use. These were concreted into position. A MagPost was also installed to encourage learning about the natural environment through enabling children to examine objects in great detail. This product is concreted into the ground and is a permanent outdoor feature. 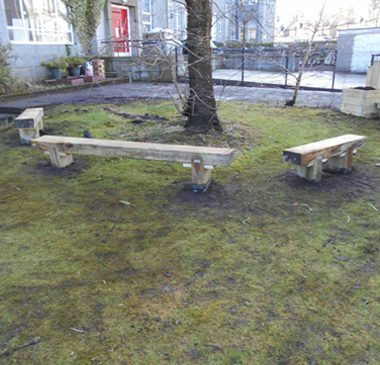 The project was to develop the outdoor space at the front of Sunnybank Primary School in Aberdeen to create an environment that would support the Curriculum for Excellence, be an asset to the school premises and provide an open and natural child-friendly space. 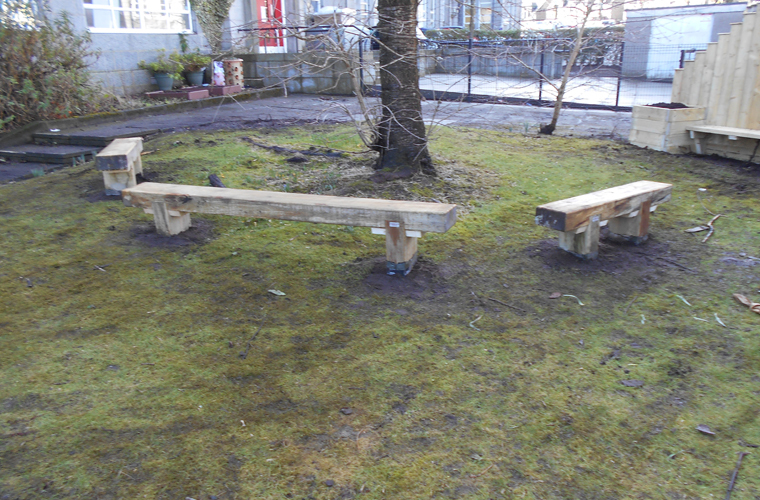 The play equipment was to be multi-functional providing a resource for imaginative and active play as well as a space for experiencing nature within either structured or free play time. After site visits and consultations with staff and parents a list of suitable products was finalised. 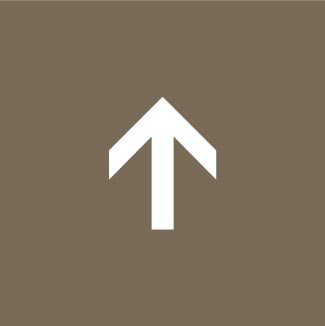 Caledonia Play ensure all products meet the required Safety Standards and advise on care of the products to provide a longer life span and greater durability. 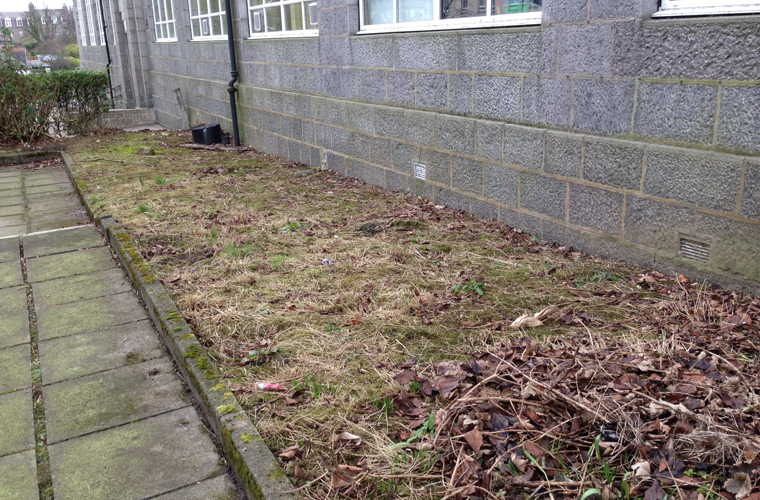 Care was taken to ensure the safety of all the children and adults throughout the installation and to enable the project to cause as little disturbance to the school day as possible. 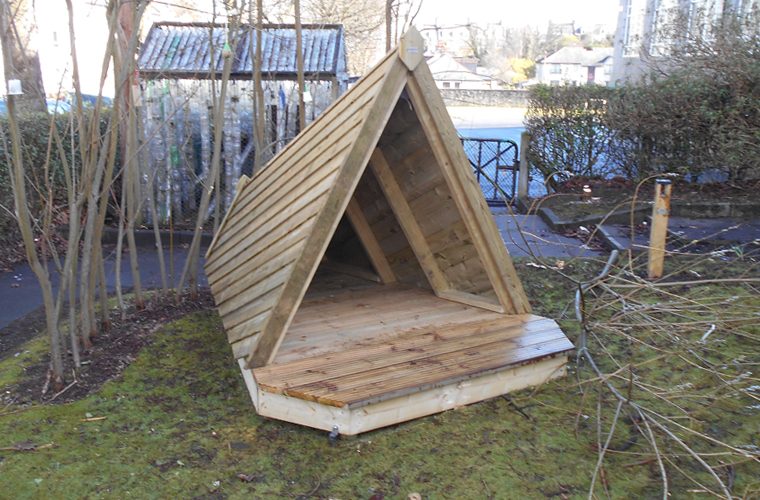 If you are inspired and would like us to create some new outdoor play provision for your school or nursery please contact sales@caledoniaplay.com or call 01577 840570 to arrange a site visit.